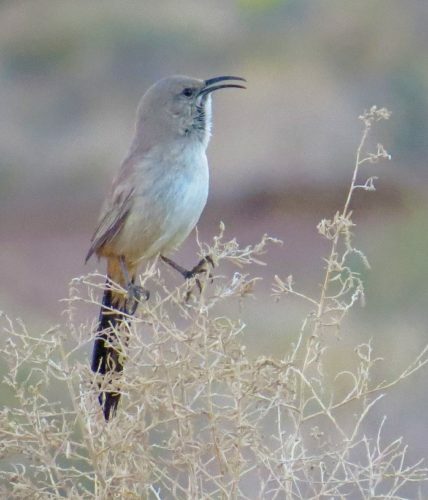 The Le Conte’s Thrasher is an uncommon resident lowland desert scrub habitats of the American southwest and northwestern Mexico, inhabiting some of the most desolate habitats on the continent. Although the species is listed as Least Concern by the IUCN, it is on the PIF Red Watch List because of its restricted range and steep population declines since 1970. In California the Le Conte’s Thrasher is designated as a species of special concern by the Department of Fish and Game. There have been surprisingly few studies on this species, but the availability of suitable habitat appears to be the major limiting factor for the Le Conte’s Thrasher population density and distribution. 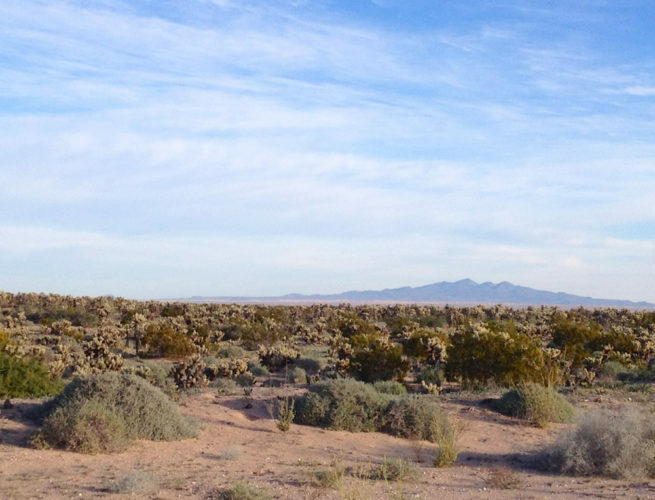 Loss of habitat from development and conversion to irrigated agriculture and livestock grazing threaten the sustainability of this species’ population. 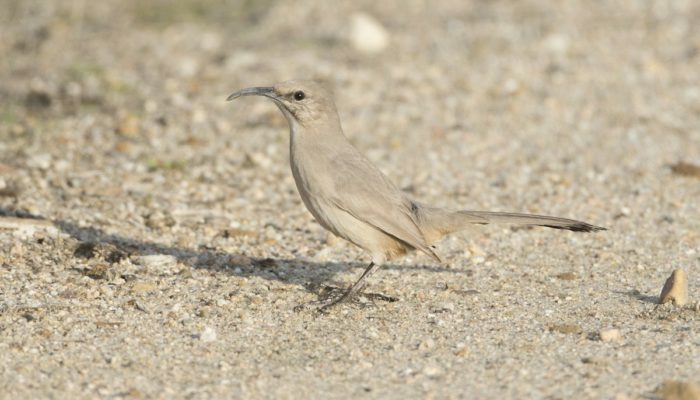 Additionally, competition with other sickle-billed thrashers (California and Crissal Thrashers) may be a factor in some portions of their range as the highly territorial Le Conte’s Thrasher is never found concurrently co-occupying territories with congeners. Zink et al. 1999. Species limits in the Le Conte’s Thrasher.